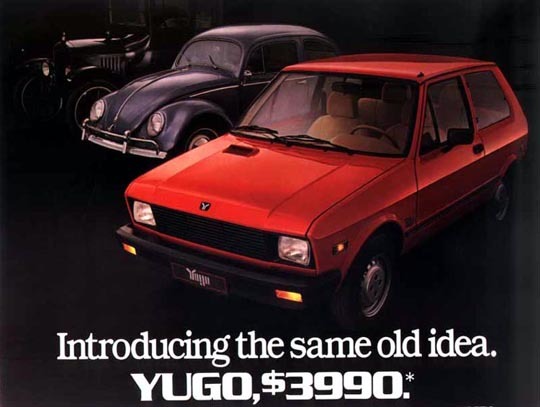 modlandUSA: In “Praise” of the Yugo. In “Praise” of the Yugo. Named one of the 50 worst cars of all time by Time Magazine. Ah, that little car from far far away. Great gas mileage in those times. Dirt cheap to buy at under $4,000 ($8,550 in today’s dollars). Ridiculed to no end. Thanks Malcolm Bricklin for bringing this beauty to U.S. Shores from the former Yugoslavia. Bricklin did see success years earlier with Subaru even though the first vehicle imported, the 360 didn’t exactly charm Consumer Reports. When the Yugo was introduced, I was working for an automotive brand. We made lots of jokes about the Yugo. One co-worker would say at lunch time “let’s go out and get a six pack of Yugos” …poking fun at the cheapness of it since it would have taken the cost of several to buy one of our products. However, Americans at large were thrilled at the prospect of getting a brand new ride for just a little bread and money was plucked down at dealerships before the cars arrived stateside. A few folks left my place of employment to work for Yugo and (presumably) move on up the corporate ladder. Their headquarters was less than 30 miles away. 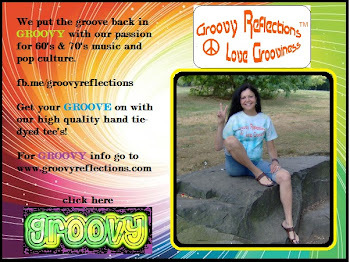 Unfortunately for them, the brand wasn’t around for very long. 1991 was the last model year. The company struggled financially for the last few years prior and even skipped the 1989 model year. When they shut down the local paper published a photo of locks and chains across the front door. Employees had shown up for work and discovered they couldn’t get in. 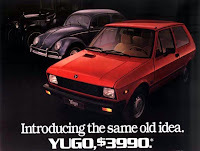 Yugos weren’t much to look at; very Fiat like, a half-sister, since so much of Fiat went into it. Plus, they were bare bones on the interior though I think ashtrays were standard. And around that time Fiat didn’t exactly have a reputation of high-quality in the U.S. Yeah, Fiat. I remember breaking down on the Tappan Zee Bridge in a friend’s 124 because the clutch wasn’t clutching. Another friend had a 131 and was in a minor accident where the front seats collapsed. Two friends, driver and passenger injured their necks. One had to wear a neck brace for a few weeks. Scary stuff. But hey, affordable price has a pull for consumers; but remember you get what you pay for. Hyundai was introduced around the same time as Yugo; remember the Excel? For a few thousand dollars more it was a better bet. Hyundai is still here with us after sweating out some quality issues. But where is Yugo? Well, there was the Yugo Art project in the mid-nineties that transformed a few lucky Yugos into something much more ever-lasting and almost beautiful. Then, Yugo gained new fame in the 2000 movie, Drowning Mona, where Yugo was THE car to have in that New York village where the flick takes place. Do you have a good Yugo story? Did you know someone who owned one? 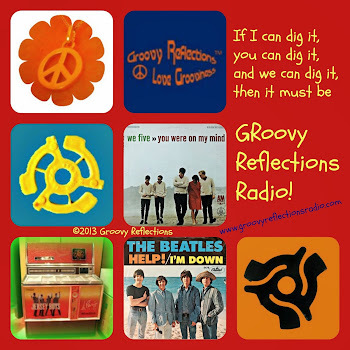 This is Y for the Blogging A to Z Challenge. This was a fun one to write since I had some personal thoughts to inject into it!